FuelBox ELEMENTARY SCHOOL is a box to create a great learning environment in elementary school. 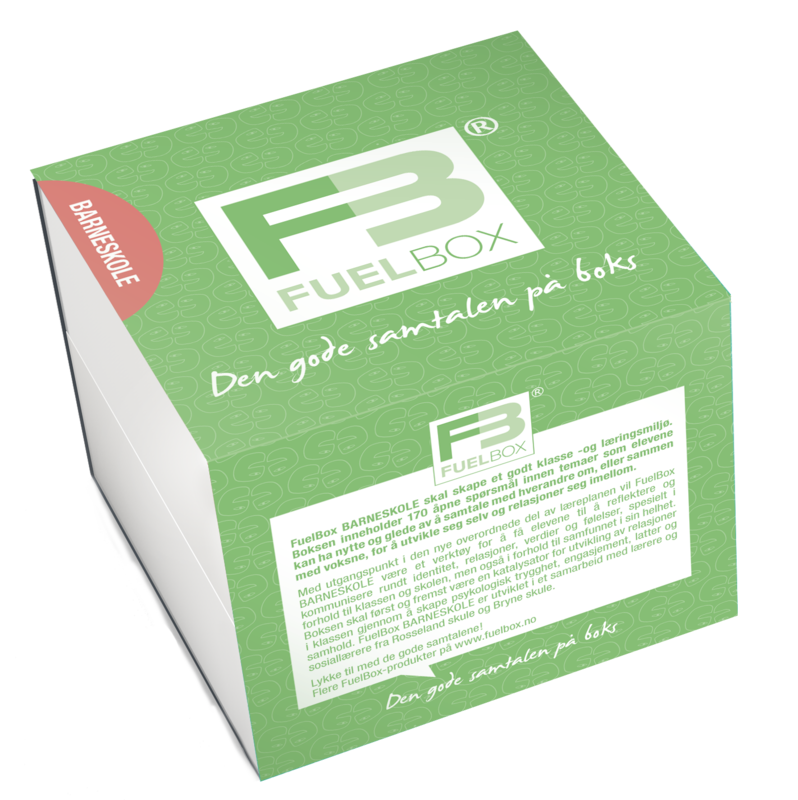 FuelBox is also a great tool for communication training. What is the best invention in the world? What do you think about asking for help in school? When have you ever been most proud of yourself? What rules are allowed to break? What people do you look up to? What is a perfect day off for you? Why should we care about what's happening in other countries? What advice would you like to give all adults? FuelBox ELEMENTARY SCHOOL is all about creating a great learning enviroment in the class room. Engage students in great conversations where they learn more about themselves and each other to develop and connect with each other. This a tool for teachers for empowering students to reflect and communicate about emotions, identity, relationships, values ​​and experiences especially in relation to their school, but also in relation to society as a whole. This box is developed in close cooperations withe teachers and leaders in the school system.